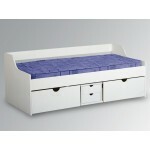 Wax Coloured Attractive With storage Valuable 4 Drawer Storag..
WhiteColoured Attractive Storage bed. 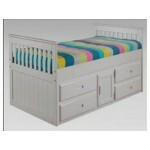 Valuable 4 Drawer Storage + .. 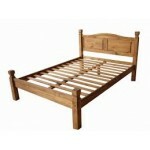 Features Carlow Single Pine Bed Frame. 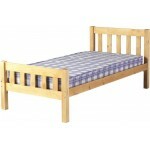 A lovely simple single 3ft pine bed with a woode.. 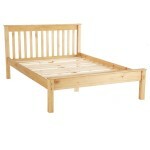 Features A beautiful and simplistic bed frame made from strong pine This simple y.. 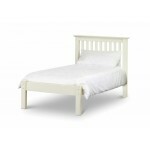 Relax in comfort with the beautiful Colonial Spindle Bed. 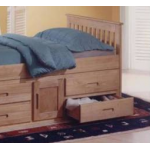 This simple yet charmingly tr.. Features . 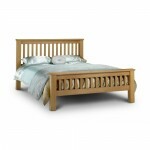 This Ivory bed is made from solid American Oak and has a simple shaker style.. 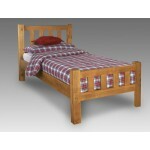 Features A solid pine bed frame with matching headboard and the option to choose.. Features. 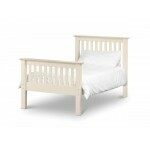 The Dante Low Cabin Bed is a Wooden Bed Frame, with a White Finish, that has .. 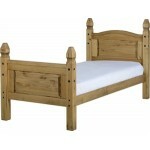 Available in 3' Single, 4' Small Double, 4'6 Double & 5' King-size. Available In W..